1. Pre-heat the oven to 350. 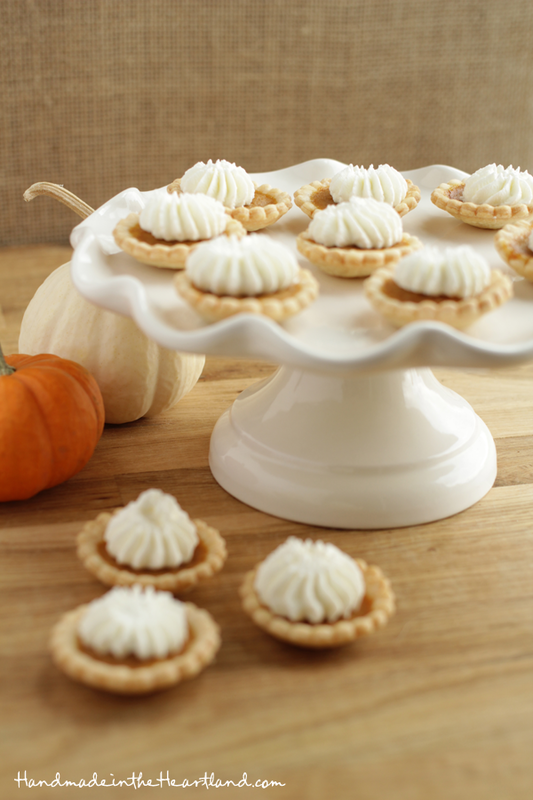 Make the pie shells: i used my wonderful Demarle roul’pat, tartlet tray, cookie cutter and shaper to make the pie shells. Honestly i use them all the time to make lots of different types of tartlets and bite sized appetizers. 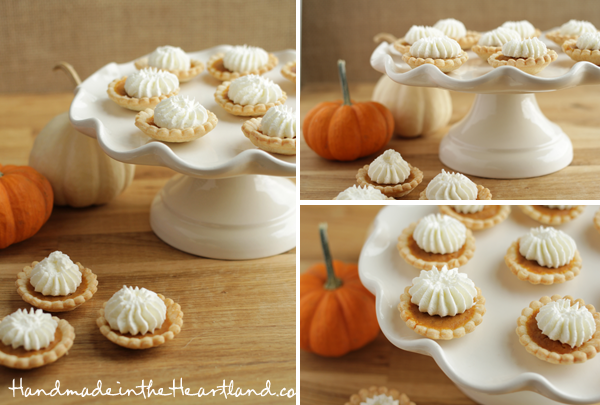 It’s super easy- take a store bought pie crust, roll it out a little thinner than it is, cut it out with the scalloped cookie cutter, place it in the tartlet tray and then using the shaper push it into the tray to create the “bowl” party of the pie. I baked mine at 375 for about 10 minutes. They came out like a dream and i let them cool before assembling the pies. 2. Make the pie filling by mixing all the ingredients together. Because the tartlet shells are so small they only take about 1/2 tablespoon of filling, the first time i made these i over-filled them and they spilled out, made a mess and were not very pretty, so take my word for it 1/2 a tablespoon is the perfect amount. 3. Bake for 7-10 minutes, until the filling looks set, and then cool. While those are baking make the whipped cream: In the bowl of an electric mixer whisk the cream, sugar and vanilla on high until medium-stiff peaks form. Put the cream into a pastry bag to pipe on top of the pies. 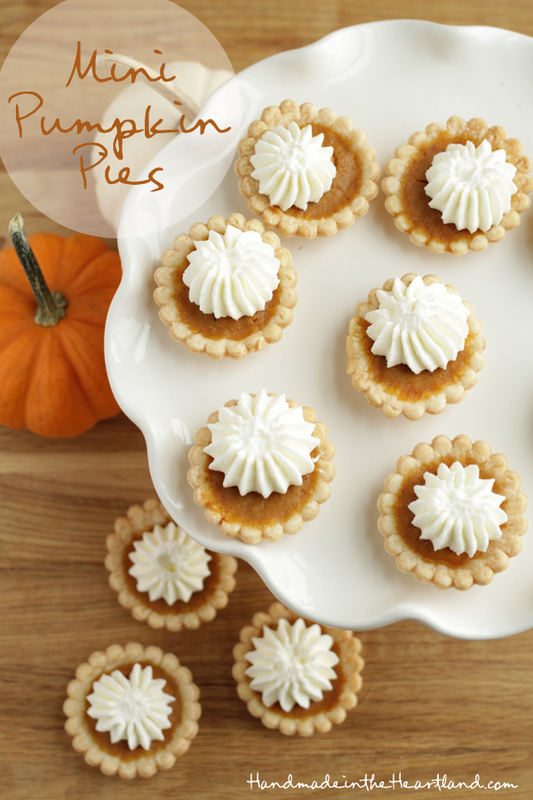 These are really similar to the mini banana cream pies i made a few months ago, aren’t mini pies the cutest? !